Adam & Eve look to win big for the Campaign Big Awards. Personally, I love the work they do for Harvey Nichols, the campaigns are innovative, witty and memorable and the ad below is no exception. Fingers crossed for Adam&Eve / Harvey Nichols! HARVEY NICHOLS / ADAM&EVEDDB The Harvey Nichols Fine Jewellery room is the top destination for those into rare gems. But how best to show off such rarefied merchandise? 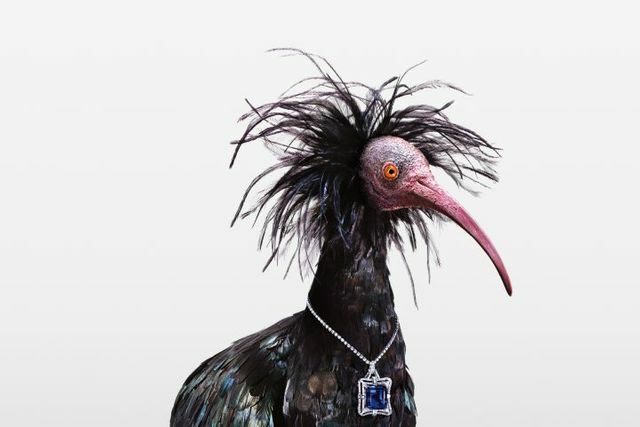 Clearly a regular model wouldn’t cut it… So in true Harvey Nichols tongue-in-cheek style we employed a taxidermy Northern Bald Ibis, a dead rare bird, to show off the stores latest wares in the most inappropriately appropriate way possible.